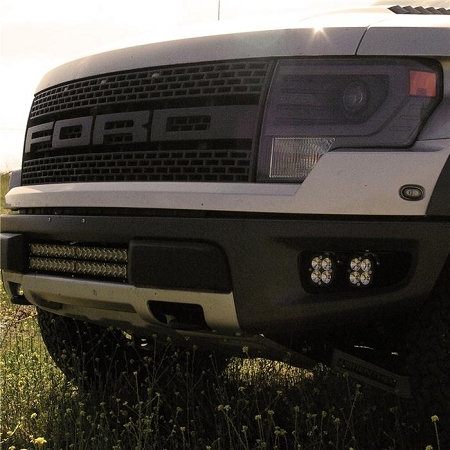 Now Ford Raptor customers will have more OEM customization options for Baja Designs lighting than ever before possible. The new Ford Raptor fog pocket mount kit allows for easy mounting capability with OEM Ford Rapter fog pockets. 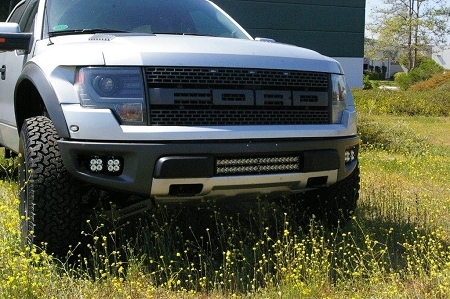 Raptor owners can choose between our OnX LED Light bars, Squadron, all while utilizing the same unique mounting system. 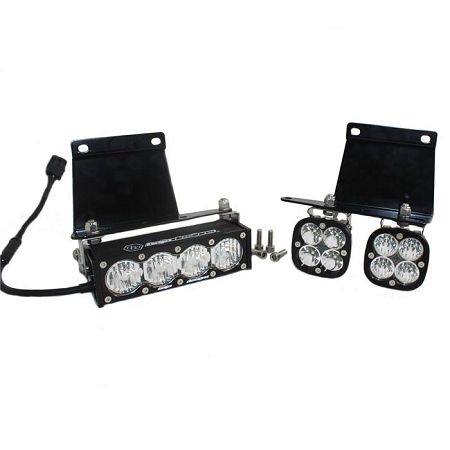 Whether you are looking for a cornering light, fog light, or distance lighting, this new mount will enable you to have almost and endless amount of pattern and light configuations. This kit will come with a total of 4 Squadron LED lights, rated at 4300 lumens each, this will give you 17,200 lumens!!! Unheard of output for a fog-light kit. You have a choice of spot, flood, spot/flood combo (driving) or wide-cornering light patterns, and also can choose amber or white lenses. All brackets and wiring harnesses are included!